With just two events left to decide nine automatic qualifiers for his team ahead of September’s Ryder Cup, European captain Paul McGinley faces some tough decisions over his three wildcard picks. Players in form don’t always transfer their current success to this most testing of competitions so will the Irishman look to those who have performed well in previous Ryder Cups or will he simply look just outside of the top nine in the current rankings? Here are five golfers for McGinley to consider should the team remain as it is right now with Rory McIlroy, Henrik Stenson, Victor Dubuisson and Sergio Garcia in via the World Points List and Justin Rose, Martin Kaymer, Thomas Bjorn, Jamie Donaldson and Graeme McDowell (just) qualifying on European Points. The defending champions are favourites with Betfair to retain their crown but their Wild Card picks need careful consideration if the holders are to claim the trophy once again. Poulter, 38, sums up the captain’s predicament perfectly. Here is a player who is bubbly, great for team morale and in competitive matchplay, he is consistently hard to beat. However, form has deserted the Englishman in 2014 who hasn’t won on either the US or European tour since 2012. Poulter was instrumental in the Miracle of Medinah two years ago but can he comfortably expect to be included on the basis of past glories or will McGinley spring a surprise? McGinley has told him he must earn his spot. Former World No 1 Donald currently sits outside of the automatic qualifying places but a solid performance at the Barclays will see the Englishman squeeze into the top nine. McGinley would surely prefer to see the player get into those automatic places as to use him as a wild card would be something of a waste. He may still be waiting for his first major but Luke Donald has an excellent Ryder Cup record and after a consistent, if not exactly spectacular season, the Englishman would surely take up one of the captain’s picks. Or would he? Scotland's Stephen Gallacher is just outside the team and Dutchman Joost Luiten is a possible surprise pick. Here's a look at five of the main contenders, providing the likes of McDowell remains inside the nine qualifiers. Big Mig turned 50 in January and while a fourth place finish at the Masters in April threatened a repeat of some of his glorious achievements, the cigar smoking Spaniard is out of the automatic places for a very good reason and it’s hard to justify a selection based on current form. One half of the Molinari brothers has an outside chance of making the automatic list with his home tournament but if he fails to make a mark at the Italian open, the European captain has another tough decision to make. As part of the winning teams of 2010 and 2012, McGinley will be keen to get the 31 year old involved, particularly after his impressive half point against Tiger Woods on the final day at Medinah. Molinari may need to win his next event to get an automatic slot but a good performance at the final tour event may be enough to sway the skipper’s opinion. He has never won a full Ryder Cup point with four defeats and two halves from his six matches. For his shear experience, 41 year old Westwood should command a place in the European side but form is improving and if he finishes outside of the top nine, the Englishman could be the first of McGinley’s picks. A veteran of eight Ryder Cups, including six victories, Westwood has a sound record in this competition and good displays at the WGC and at the USPGA mean that the player is peaking at just the right time to make a positive contribution at Gleneagles. 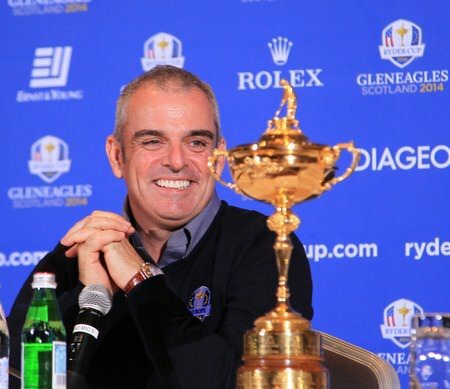 European Ryder Cup skipper Paul McGinley has opted for three wildcards. Having previously quoted that old saying “if it ain’t broke, don’t fix it” when it came to the qualifying process for the Ryder Cup, some might have been surprised at European captain Paul McGinley’s decision to try and “fix it”. Previous skipper Jose Maria Olazabal had gone for just two captains picks for the 2012 Ryder Cup, a decision which looked to golf betting fans as though it might come back to haunt him when he was forced to take the out-of-form Peter Hanson and Martin Kaymer to Medinah.